Find here all detatchment/replaceable pieces for all MODS. This silicone sleeve is perfectly adapted for your X-Priv by Smoktech. It protects your Mod from shocks and dust. Destined for the dotSquonk by Dotmod, a coloured Silicone Bottle with a capacity of 12ml and a cap in Ultem. Replacement Window for the Spruzza Smart Siphon of the Spruzza BF Mod by Asmodus. 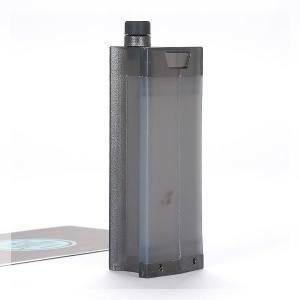 Silicone Protection Cover for the Pico 25 Box by Eleaf. To protect the box against scratches, dust and shocks.